Unique crowdfunding and sales afterwards, the Elvis Presley Atomic player Xiaomi featured memories of the 60s, and the old texture and exquisite work attracted the attention of many small partners. 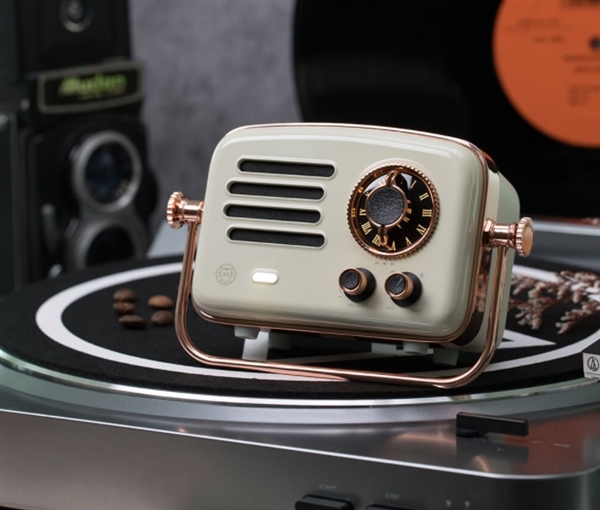 Now the company has unveiled the Xiaomi Elvis Presley Atomic Player 2 whose design is quite exquisite. This device is beautifully colored white stone and its old style brings the feel of the 70's. 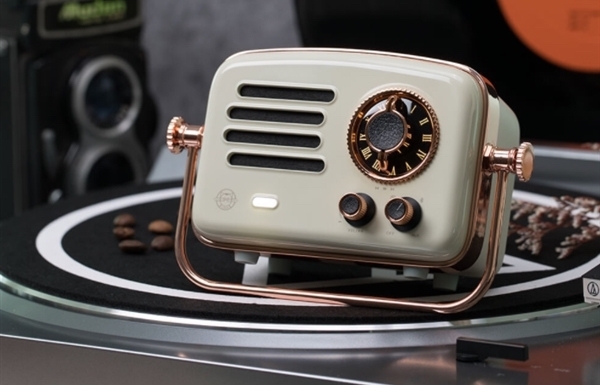 The body uses a three-layer machine color process to give the xiaomi elvis presley 2 smart radio a delicate touchable body that leaves no fingerprints. The body is equipped with a chrome-plated metallic buckle with a dual-purpose hook and stand-up function. The dual design of the handle is in such a way that it can be used to carry the device or pull it down and use it as a base. xiaomi elvis presley 2 smart radio includes 12 preset channels that are easily customizable and do not require a cell phone. Just turn on the button to change channels freely. The Elvis Presley Atomic Player 2 Xiaomi has a full-range NdFeB 52 speaker with a large 52mm diagonal that ensures sound quality. HIFI quality brings a realistic experience of surround sound.